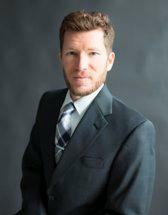 Rob joined McCrea & McCrea in May 2012 after earning his JD from Lewis & Clark Law School in Portland, Oregon. He is fortunate to have had the opportunity to study at one the leading institutions for Environmental Law. Rob is an experienced legal draftsman and has briefed cases before the Indiana Court of Appeals, Indiana Supreme Court and the U.S. District Court for the Eastern District of Kentucky. Prior to his career in law, Rob studied Ecology and Conversation Science at Prescott College. He is one of the only attorneys in Monroe County who practices Natural Resource Law. Rob is a powerful and tactful courtroom advocate and trial attorney. Rob has 10 years experience working for non-profit organizations and his committed to the role nonprofits play in our community. He currently serves on the Board of New Hope for Family Shelter.